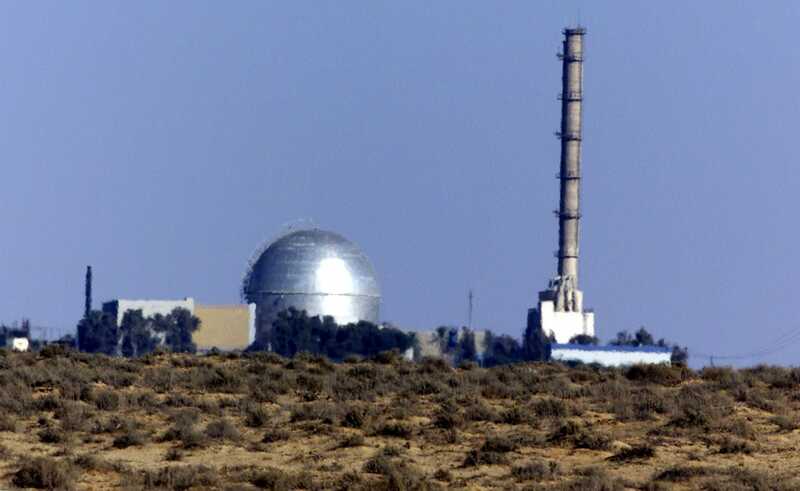 Jim Hollander/ReutersView of the Israeli nuclear facility in the Negev Dest outside Dimona on August 6, 2000. For decades, Israel has maintained a strict policy of opacity surrounding its nuclear arsenal. The country possesses some of the most powerful weaponry on earth, along with delivery systems that give it the ability to strike far beyond its borders. But its nuclear secrecy prevents it from even acknowledging those weapons’ existence — and keeps experts and foreign governments guessing. And some widely held assumptions about Israel’s nuclear weapons might be woefully off-base, according to a recent study by Hans M. Kristensen and Robert S. Norris in the Bulletin of the Atomic Scientists, both scholars in nuclear security at the Federation of American Scientists. Israel is not a signatory to the Nuclear Non-Proliferation Treaty that entered into force in March of 1970, even though Israel likely developed a nuclear capability before that treaty was signed and received significant assistance in its weapons-building efforts from France, a country permitted to posses nukes under the NPT. It hasn’t opened its sites to international inspectors or officially declared an arsenal. Israel probably has far fewer nuclear warheads than is generally assumed. “Over the past several decades, news media reports, think tanks, authors, and analysts have sized the Israeli nuclear stockpile widely, from 75 warheads up to more than 400 warheads,” the authors note. But according to Kristensen and Norris, estimates that placed the Israeli arsenal in the hundreds assumed that all of the fissile material produced at the country’s Dimona reactor would be put towards building nuclear weapons. The country may have produced enough plutonium for as many as 250 bombs over the years, a number that would be even higher depending on the diversity of Israel’s nuclear arsenal — if, for instance, it included lower-yield tactical or battlefield nukes. In other words, the arsenal exists as a guarantor of the country’s survival in a worst-case scenario rather than an integrated part of Israeli battlefield doctrine, meaning the country only has use for high-yield bombs that can also be delivered from hundreds or thousands of kilometers away. The authors assume that Israel wants to keep the size of its nuclear arsenal in line with its number of available long-range delivery systems — a number that doesn’t even climb into the low hundreds. They believe Israel has 20-25 nuclear-capable ballistic missiles, two nuclear-capable fighter squadrons capable of carrying 20 bombs each, and possibly a small handful of nuclear-capable submarine-based cruise missiles. The total number of deployable delivery systems comes out to around 80. The authors don’t think the Israeli stockpile greatly exceeds that. Business InsiderIsrael’s suspected nuclear facilities. Tel Nof and Netavim are though to be home to nuclear-capable bombing wings. Dimona is the sight of the country’s nuclear reactor. Nuclear-capable Jericho missiles are believed to be stored at Sdot Micha. Israel probably has fewer nuclear delivery systems than is widely assumed, too. The authors use satellite analysis of suspected missile facilities at Sdot Micha in the Judean hills (see map) to rebut widely repeated estimates that Israel has 100 nuclear-capable Jericho ballistic missiles: “Images show what appear to be two clusters of what might be caves for mobile Jericho II launchers. 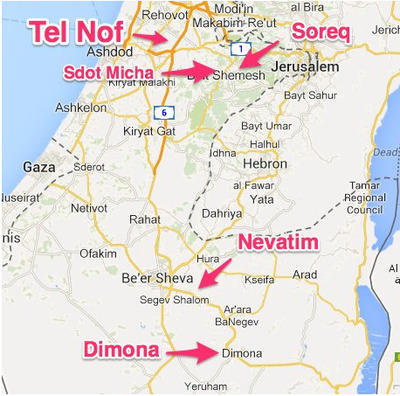 The northern cluster includes 14 caves and the southern cluster has nine caves, for a total of 23 caves.” They note that this matched the number of suspected Israeli missiles given in a 1969 White House memo. While Israel is currently developing a third-generation Jericho missile, there are no proven additional facilities where they could store them, and no evidence of underground silos. They conclude that Israel has around two-dozen Jerichos. As for submarine-based delivery systems, the authors say it’s at least possible Israel has developed nuclear capable Harpoon cruise missiles but don’t come down conclusively on either side of the question. Israel may not have any battlefield nukes. Nuclear weapons can come in all shapes and sizes, although building smaller-yield tactical devices or multi-stage thermonuclear warheads requires a degree of trial and error. Israel has never carried out a confirmed nuclear test and the authors note that without a test history or nuclear testing infrastructure it’s unlikely they would have the technical knowledge needed to build a diverse array of nukes. And there’s the issue of nuclear weapons doctrine, which has a direct bearing on the type of nukes Israel might develop. 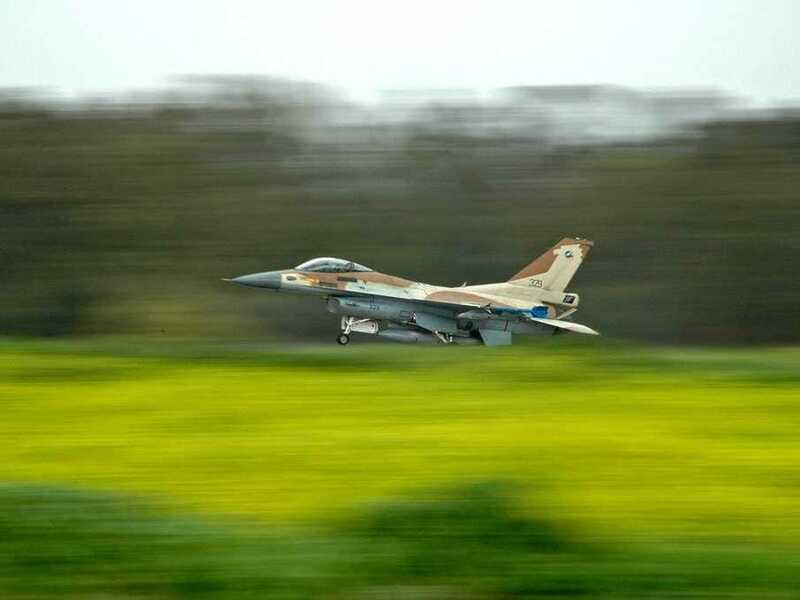 Israel’s arsenal is set up as a deterrent against an outside attack, or as a means of possessing a “second strike” capability in the event of an attack that could threaten Israel’s existence. Unanswered questions. Nuclear secrecy has its benefits. It prevents Israel from being able to carry out provocative nuclear tests, or mobilizing its nuclear infrastructure in other, equally-calculated ways — familiar behaviour from nuclear-armed Pakistan, India, and North Korea. It forces Israel to act as if it doesn’t have nuclear weapons and to deal with its neighbours as if didn’t enjoy the greatest of all possible strategic backstops. Most of all, official secrecy preserves the veneer of a nuclear-free region (however unconvincing in reality) and gives Israel’s neighbours an excuse not to go nuclear themselves. At the same time, the secrecy policy means that little is really all that conclusively known about the type of warheads Israel possesses, not to mention the country’s specific doctrine for their use or their state of deployment or alert at a given time. For instance, it isn’t really known whether all or even most of Israel’s warheads are actually assembled at a given time. And so for now, a report like this is the clearest sense of the country’s arsenal that’s available in public.